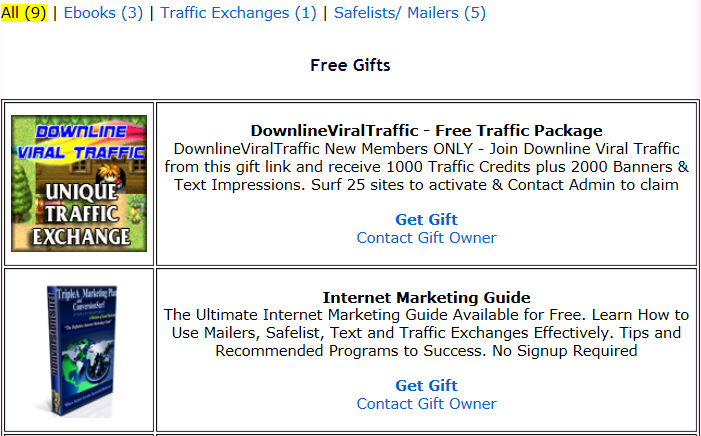 Add to your membership levels the benefit of creating �Free Gifts� that will be shown to all members in your site. Gifts are offers which marketers use to increase their lists, offering something for free, like credit packages, upgrades, eBooks, etc. From admin area you can customize how many �Free Gifts� each membership level can add. You can view all gifts, approve or reject gifts and define gift categories. To make a purchase you must be logged in. This mod can be installed in all your LFM sites which you own.